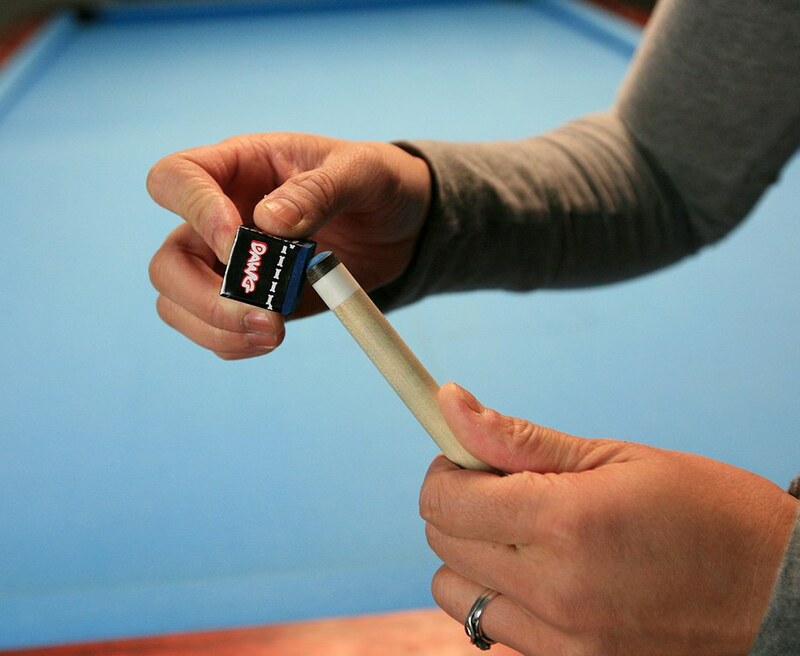 Many people do not realize that there is a proper way to chalk the pool cue. 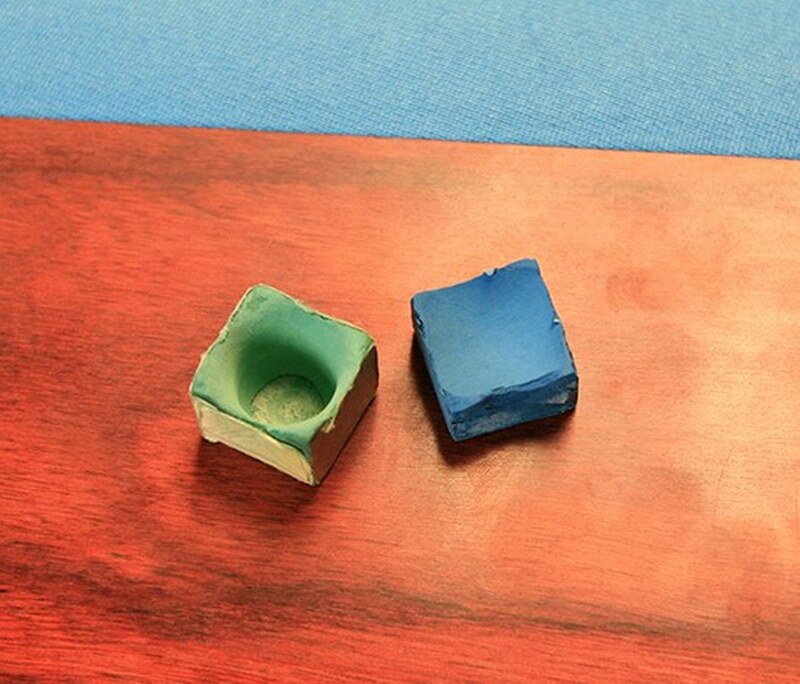 When we use this ideal chalking technique, it not only lengthens the life of the chalk, but keeps the cue tip and ferrule healthy as well by minimizing miscues. Besides, it really makes you look like you know what you're doing. The art of maximizing a piece of chalk while keeping your cue stick in good shape is not difficult but requires some conscious effort. 1. Always remember to chalk before every single shot. Now with some newer chalk like the Kamui .98 and Kamui 1.21 your chalking will be drastically less than with Masters or Silver Cup chalk therefore allowing you to chalk once or twice a game due to the compound and make-up of Kamui's chalk. 2. 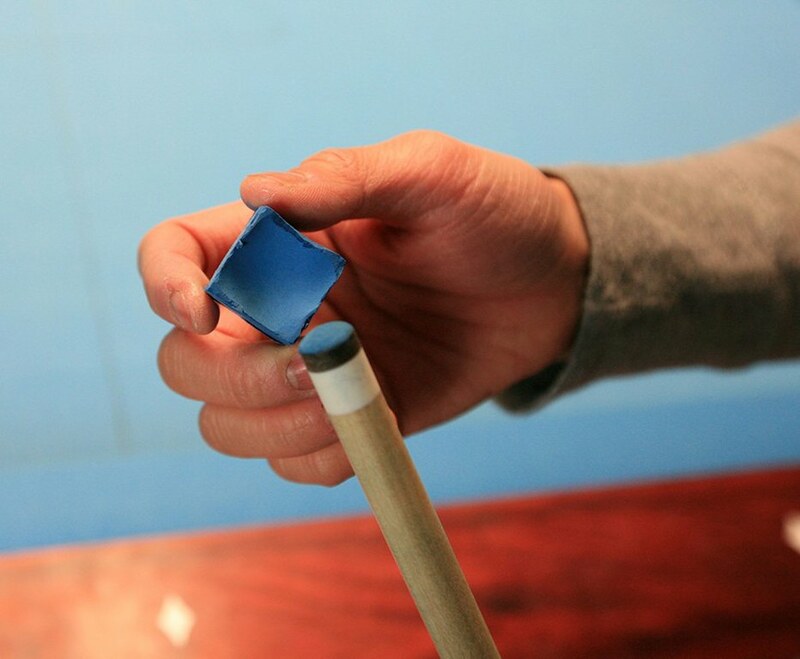 In order to get the most thorough, adequate chalk coverage on your pool cue tip, tilt your cue at an angle and use a deliberate, brushing motion. Slowly turn the cue stick while keeping the chalking coverage steady. 3. Do no drill a hole in the chalk. This only gets chalk on the very center of the tip and all over the ferrule. You want to ensure that chalk is covering the entire tip surface area. Like Minnesota Fats used to say, "Chalk your tip like a lady puts on lipstick." 4. Do not chalk your cue over the table. This gets chalk dust and chips on the cloth which can ultimately dirty up the cloth and balls, causing them to react unpredictably. 5. It is not advisable to attempt to remove excess chalk dust from your cue. Do not bang your cue against the side of the table or anything else. Never blow on your tip as the moisture from your breath can cause chalk to become cakey and not work as effectively. 6. If you are sharing chalk with the table, return the chalk after you have used it so that the next person can have their turn. You don't need it when you're not at the table. You also don't need when you're not shooting. So, don't reach for the chalk when you miss, reach for your chair. 7. Also, be sure to always set the chalk down with the color of the chalk facing up. This keeps the table clean and your clothes clean. In turn, it also keeps your hands clean which keeps the balls and equipment cleaner. 8. Never whack the cube of chalk on the side of the table or slam the cube down on the table. Do not put the chalk between your feet and chalk with your cue in an upside down drilling motion. Do use your own pocket chalker or belt clip if you want a consistent piece of chalk that is all yours. 9. Always try to use a color of chalk consistent with the color of the cloth on the pool table. Chalk marks on the table will happen, but are much less noticeable when using the same colored chalk. Caution, though this will allow you to get the most out of a piece of chalk, you should still always check your chalk to make sure it has not been compromised. Always store your chalk in a cool, dry place. Overexposure to moisture can cause "dead chalk" and result in miscuing. Take a look at your chalk now and see if it is time to replace it or get something different.